Food storage containers are something most of us use almost daily. Whether it’s stocking the fridge with leftovers from last night’s dinner or taking a homemade salad to work, having the right container for the job makes life easier – something I can always get behind. To avoid having a fridge full of mismatched deli containers, or reheating leftovers in plastic that may not be food safe, here are a few storage tips that’ll leave your kitchen more organized, useful, and streamlined. Glass Containers: Glass containers have a number of pros and cons. 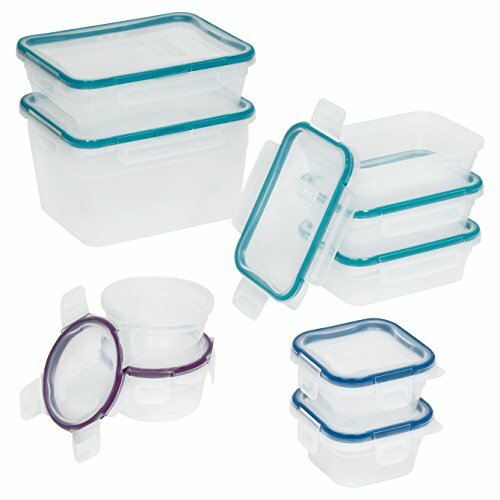 These are what we use in our kitchen, and I love that I can store food and reheat it safely directly in the container. The OXO Smart Seal Set is totally leakproof as well, so I always feel safe knowing I’m not going to accidentally slosh soup onto the floor or leak salad dressing onto one of the shelves of the refrigerator. The cons are obviously the weight – they’re heavier than plastic – and the price as they tend to be a spendier choice. Plastic Containers: All benefits of glass aside, there’s a time and a place for plastic. When taking leftovers to work or traveling, this easier, lighter, and non-breakable option is certainly preferable. The Snapware Food Storage Set is great because they easily nestle inside one another, are truly leakproof, and are made of a food-safe plastic. I like the fact you can write directly on them to label your leftovers and wipe off the text later for a fresh start. Although this is perhaps more personal preference than anything, considering the shape of your food storage containers is a worthwhile endeavor. I love round containers because, well, most of ours are round so it makes for easy stacking. That said, I know a lot of people who are into more rectangular-shaped containers because they’re much easier to wedge into open spaces than round ones. You can play a bit of Tetris and maximize your refrigerator and freezer space this way. 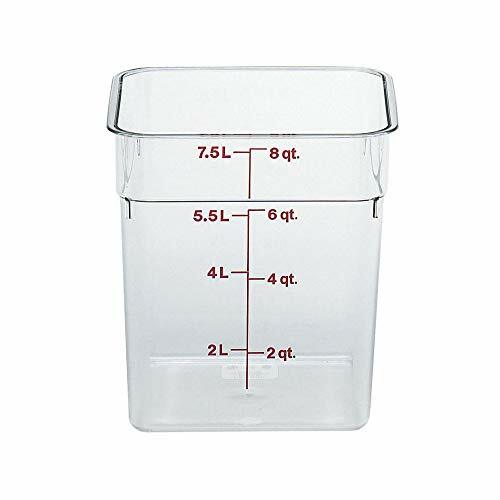 Also for storing leftovers, I find it useful to have a set with several different sizes ranging from 1-cup (for leftover sauces or small bites) to 8-cup (great for soups and stews). 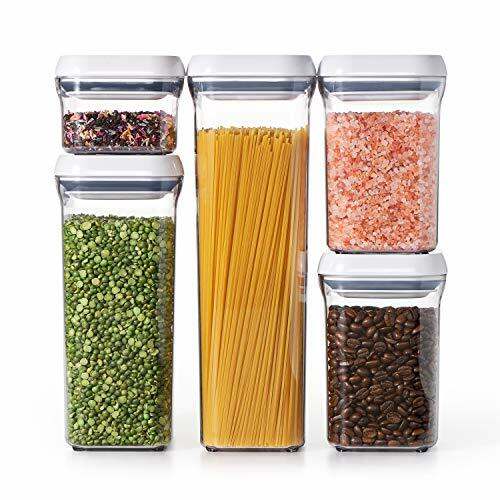 For dry storage of snacks and cereal, grains like rice and polenta, or other pantry staples, I’m really into the OXO Pop containers. Besides the fact they’re clear so you can see exactly what you’re storing and they look pretty, they have that airtight, super satisfying pop mechanism to keep dried goods fresh. They stack nicely and come in several different sizes, too! Large Quantities: If you have larger quantities of kitchen or pantry goods like flour and sugar to store, I love the professional Cambros that you can often find at kitchen supply stores or online. They’re dishwasher and freezer safe and help eliminate the scenario of not having enough storage space to offload an entire 5-pound bag of flour or sugar. Less expensive food containers tend to assume odors and break down much more quickly than higher quality glass or plastic containers. So while the single-use, inexpensive plastic containers sold at the supermarket can be appealing for a number of reasons, you’ll thank yourself in the long run for investing in a slightly higher quality glass or plastic set. If I’m going the plastic route for some of my containers, I always try to verify that I’m using a “safe” option, meaning it’s comprised of a material that won’t leach chemicals into the foods and liquids we store in them. Items marked with a 1, 2, 4 and 5 are the best for food storage. The number to avoid altogether is a 7, which appear on plastics containing BPA. A lot has been written about the safety of plastic food storage containers and what to look for if you typically microwave or reheat your leftovers directly in the storage container. Call me old school, but I still prefer to reheat in glass containers and remove that consideration altogether. The cool thing about the OXO Smart Seal containers is I can refrigerate or freeze leftovers and reheat straight from the fridge or freezer. If I’m bringing plastic to work, I’ll just do a quick transfer to an actual bowl or plate in the office kitchen. Either approach works great! We’ve all been there. You’re unloading the dishwasher and trying to put away your food storage containers, cursing the cascading pile of mismatched lids and wishing you had more cabinet space. First, spend a few minutes with your container collection and get rid of all the lids that don’t have a corresponding vessel. Second, make sure your containers are a uniform shape, so they can easily nest and stack. If your assortment just won’t conform to organization, then it might be time to think about recycling or donating your old containers and investing in a new set. Agree with Shirley about Lock and Lock! Fantastic product. More shapes, sizes, and colors than you can imagine. Great for pantry storage, leftovers and more. They stack into each other to save space and some do have interchangeable lids for different height products. Can find on amazon but QVC has best variety and options, far more than amazon. I like tupperware too. Reusing yogurt containers, etc is fine but not airtight and not safe to reheat in. I only shop QVC because they have the really best containers. The also have glass and plastic with the snap down sides that they guarantee. The are freezer, dishwasher and microwave safe and their glass is oven safe. They also have easy pay and take all credit cards. Don’t get locked into something you don’t trust. Check In the Kitchen with David on QVC Sundays at 9: 00 am. They have something with Lock and Lock every week. This is all lovely, but ecologically I prefer to re-use yogurt, etc. containers. Personally, I just use mason jars! Maybe it’s just because my refrigerator is old, but I’m finding the dimensions of new storage containers somewhat of a problem. I was once able to stack three Tupperware containers (2 medium, one small) for maximum space efficiency. The new containers only allow a stack of two in the freezer. And while I’m at it, can’t measuring cup manufacturers make cups with markings that my dishwasher won’t sandblast off? It seems that containers that all have the same footprint but of different heights and that can all take the same lids would be a huge advantage. 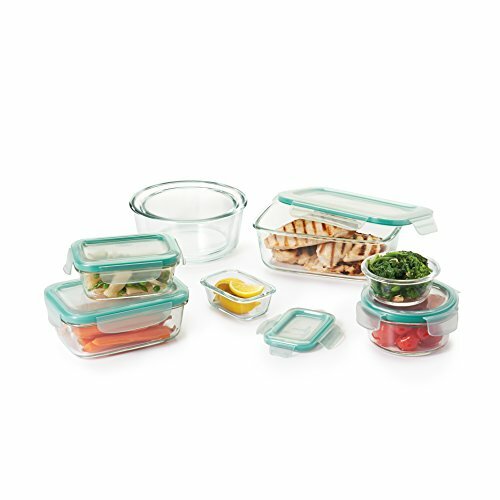 Why did you not consider Tupperware products in your review? They have great BPA free options and wonderful products made specifically for cooking and reheating in the microwave. These products are guaranteed for life and have been around for over 70 years!